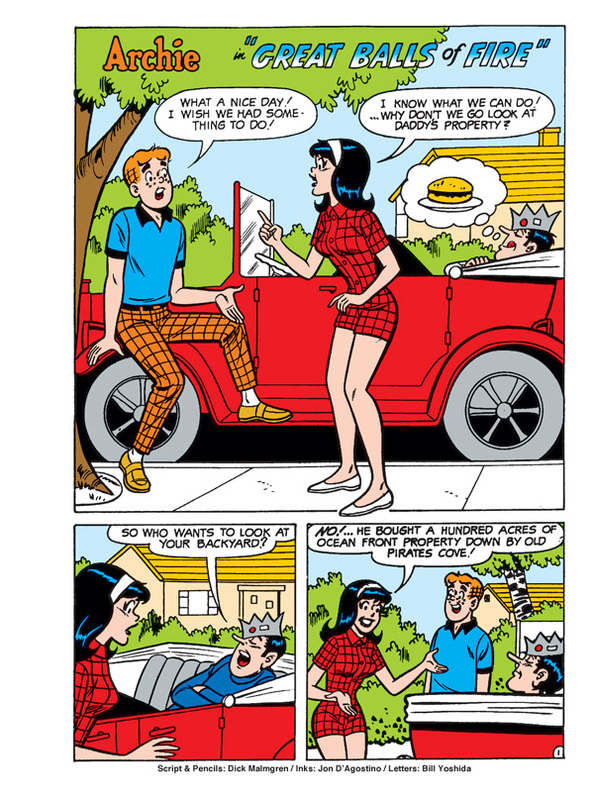 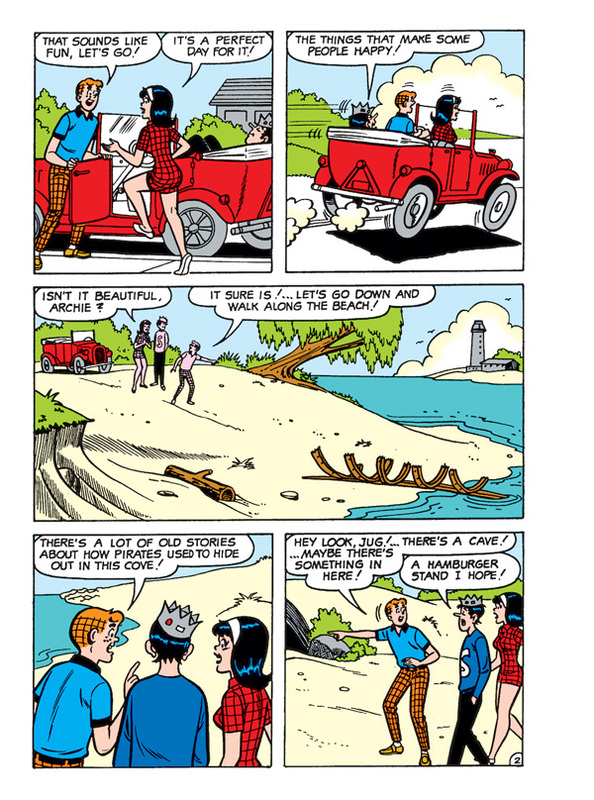 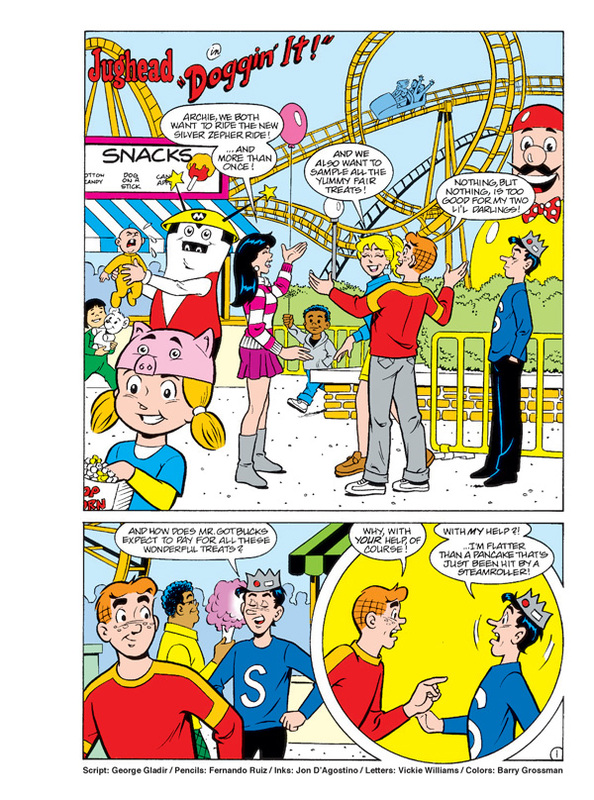 Archie’s got a big date for Veronica and he’s running late! 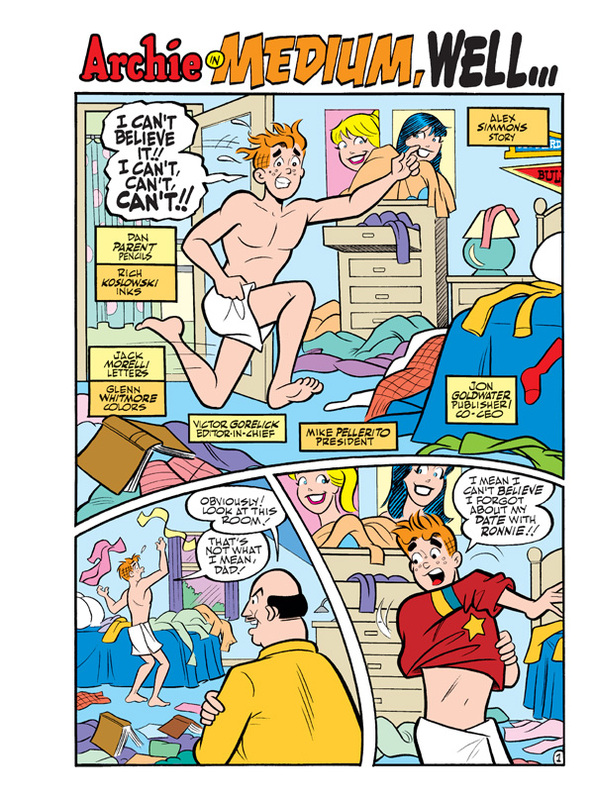 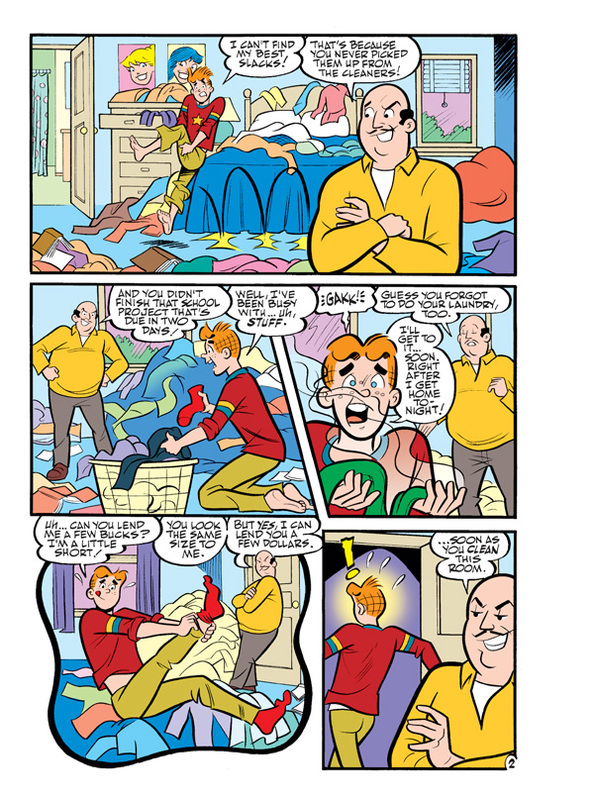 If only he could find his pants… and his socks… and his car—ok, maybe Archie needs to get organized before he can even start thinking about dating! 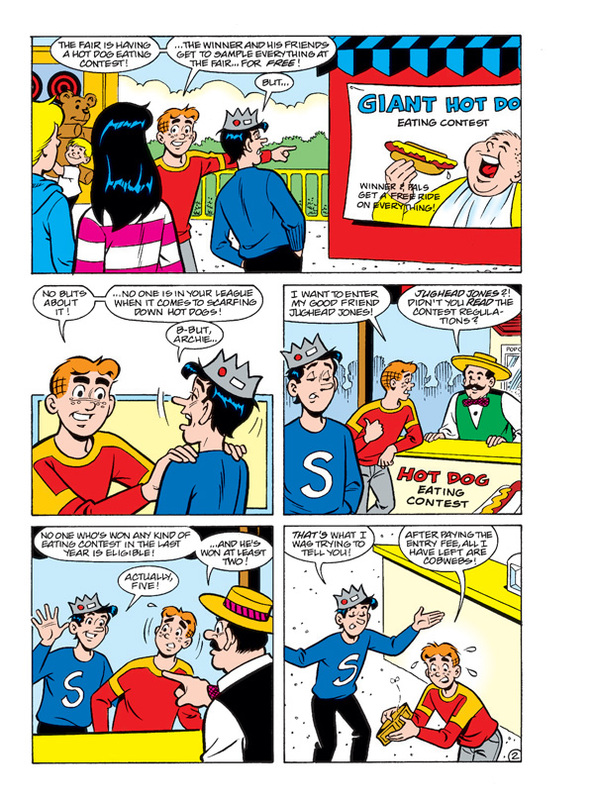 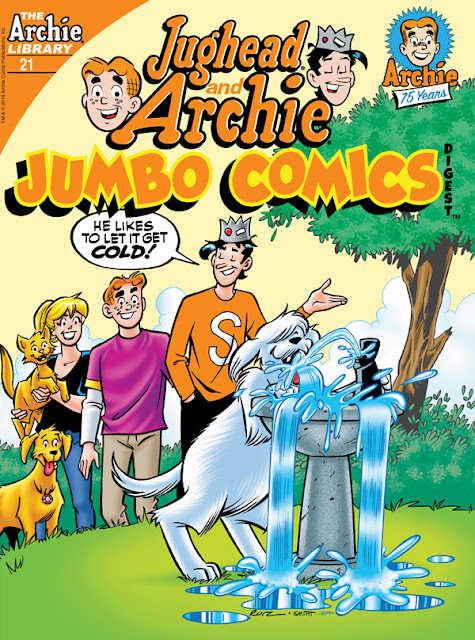 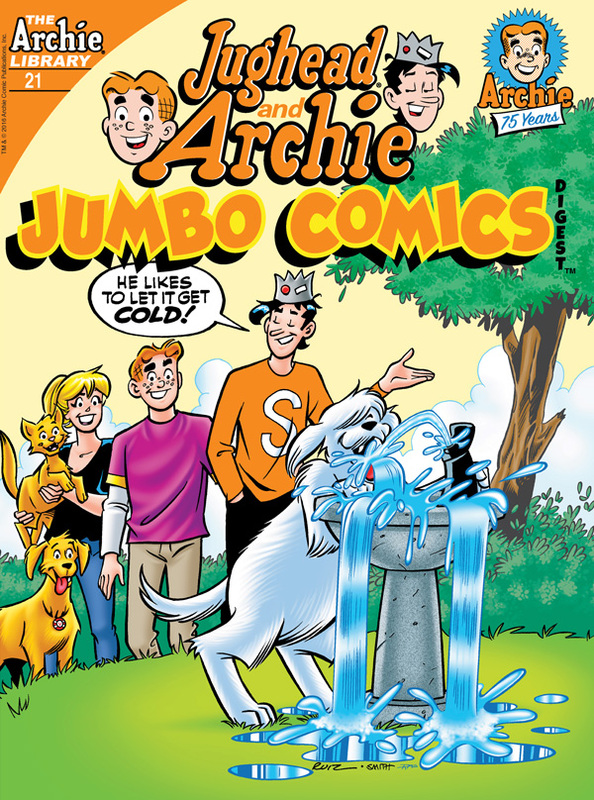 See if Jughead can help Archie make it to Ronnie’s on time, or if he’ll be kicked to the curb in “Medium Well” the hilarious new lead story to this JUMBO comics digest!